This entry was posted in News on April 2, 2014 . We are a highly experienced software development company that has been operating in the web-services market for more than a decade, implementing sophisticated projects for small or major corporate clients. 2014 is the tenth year of partnership between us and the University of Pitesti, which represents an important foundation stone for the future development of our company. We set up a work program and an internship with UPIT students to get them familiarized with our ways of work and the needs of the market profile in which we operate. It’s a fact that most of our programmers were UPIT students, we offer all necessary support for their future evolution. Each summer we have encouraged UPIT students, with their final exam and for the most talented ones we offered the opportunity to create a career in programming. 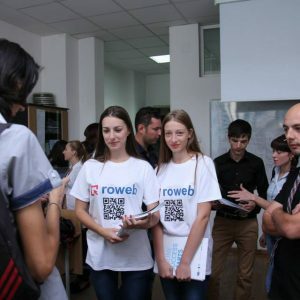 During Roweb’s summer students practice program we offered guidance and help for junior programmers gain necessary experience over several weeks of training. 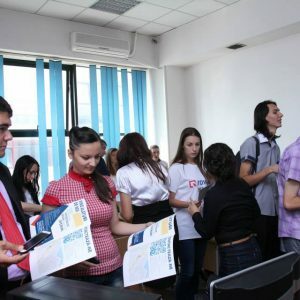 The Partnership with the University of Pitesti helped us recruit the most talented IT students, as we assisted and encouraged them with graduations thesis, always trying to give something in return as often as we can. In terms of technology we focus on 4 main directions: Microsoft.NET, PHP and open source, Mobile development and Oracle. Roweb provides its vision in developing solutions for clients, enabling them customize the core of their business processes. Our plan is very well crafted as we desire to increase our team of specialists, consolidate our outsourcing position on foreign markets and increase the number of our trade marked products. Part of this plan is to encourage anyone looking to built a career in programming, web design or any other related field within our company. 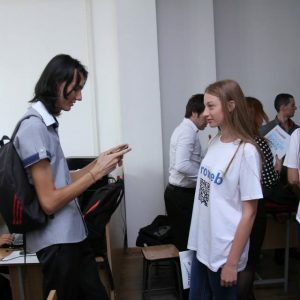 If you feel yourself prepared to become our team member please visit our page at http://www.roweb.ro/careers or contact us at contact@roweb.ro. We will surely respond.